So far this book is awesome. It jumps right into suggestions to help you. Not focusing on how and why it happened. My training book! It brings up positivity and it’s helping me stay tuned you enabling me to feel great about myself and my surroundings; this book is an excellent suggestion to combat procrastination. 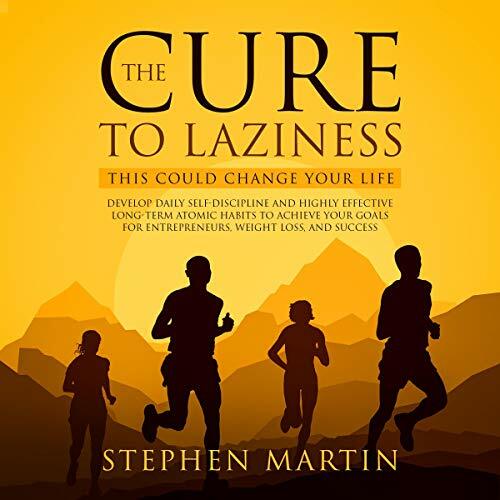 I hope Stephen Martin comes up with more self-help books like this. Well done! The author has included lots of thought-provoking insights about procrastination and habits. I admire the actionable, specific purposes and suggested plans for defeating the bad habits that result in procrastination. Although I have some doubts that I can execute them all right away. There is a lot to digest but very useful knowledge presented. Ready to write down my to-do list! I’m beginning to see audio books in a different light. I no longer deem them as a distraction. As a matter of fact, I listened to this procrastination book for six times already. The book’s very handy and has showed lots of information in beating the said bad habit. I liked most the number method the car and verbatim I still need practice. But would like to be able to to apply it to on the job training to not be able to ask someone to repeat themselves. Great book. Great book to build tactical and practical tools to improve memory. Planning to listen to again! I would highly recommend this book. Select from several methods to build your capacity to recall information that which best suits you. This book is a reminder that our habits, for better or worse, will impact our outcomes. The book has a variety of techniques. The book has a variety of techniques for each stage of the learning cycle and everyone can find the piece they are missing to improve their learning process and get the most of it. I love this book. Excellent book. The author is a very organized fellow, who puts his ideas forth clearly and articulately. I can’t wait to put these principles to use in my daily life. Thank you for making this book and sharing your knowledge. Lovely indeed!